What I chose to become is: happy, strong and courageous enough to overcome my fears; help and inspire others. Just like you, my life journey has blessed me with so many lessons, events and incidents that have humbled me, shaped me in who I am today but also left deep scars. We all have scars - emotional or physical or both. I have been fortunate to hit the jackpot and score both. :) It took me a while to learn this, physical scars are not always beautiful but they can be powerful. Regardless of how we got them, surgeries or accidents, scars reveal strength buried deep down inside of us, and in time with our maturity and effort that strength can start flowing out of us like lava, preparing us for our journey ahead...until then it's internalized and waiting for us. Often we hide behind our smiles and stew in our fear. We try to paint a perfect picture for others to see, but deep down we are far from where we want to be. Not realizing the only person in the way of becoming who we want to be is us and our fear. We are afraid to speak, embarrassed or don't feel like we have enough support; we have to accept that others can't read our minds or feel what we feel, but we can take a first step and openly share so others can be educated. After a while our deep pain can make us numb. We have to learn how to acknowledge our pain and find reasons behind our scars so we could accept and heal. I know you would rather forget, somehow remove it from your memories. But you would be just hiding it deep down in your soul. I am sure your emotional or physical scars tell a story and behind every story there is a unique human being, YOU! Our society sometimes doesn't make it easy for us to heal especially nowadays where perception of image is exaggerated. We shouldn't strive to be prettier, thinner nor better than someone else. We should strive to be the best version of ourselves. 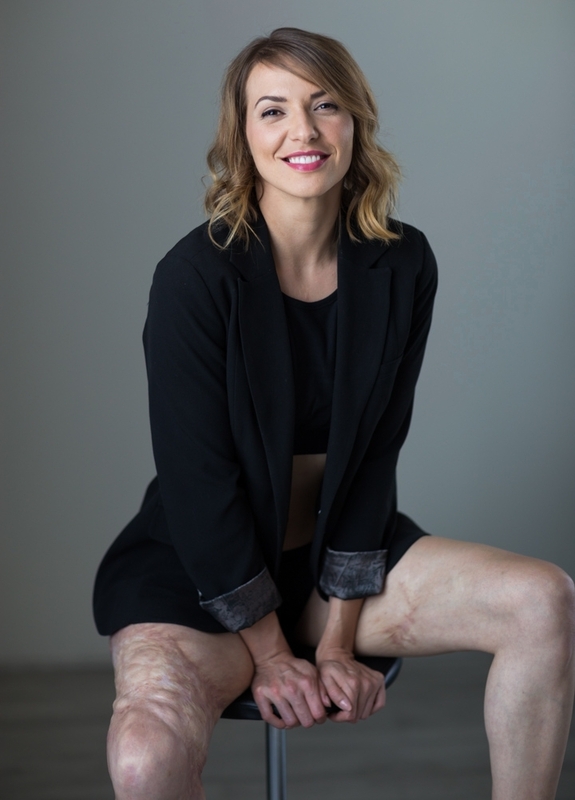 This is me being raw with you, at 33 years old, and for the first time publicly revealing my scars and sharing my journey in hopes to inspire and encourage others. Or simply to say that life doesn't end here nor do our scars define us. It took time and hard work to come to this point in my life, I finally came to terms with the label - Burn Survivor. I have learned to accept my 3rd degree burns, I don't love them. However, if this second chapter of my journey provides some comfort to you, I am very certain that I will eventually learn to love them. It is time we look beyond our scars and start truly living and showing the world our worth and what we have to offer. I believe true happiness is experienced after we face and conquer our fears.